Playing basketball during child visit day in Guatemala, July 2015. As child sponsors, we long for letters from our children. We treasure any new bit of information we can learn about the children we love so fiercely from afar. Even better is a letter with a photo tucked inside. It gives us a peek into our child’s world, as we scour the photo’s background for details that a quick glance would miss. It shows us a new expression on our child’s face, or maybe even a smile that wasn’t there in the standard sponsorship photo. It’s an added bonus if a family member is in the photo, too. If a simple letter and photo can bring so much happiness, can you imagine the joy and excitement of actually meeting that child in person? It’s something I imagined for four years before it became a reality for me when I visited my children in Nicaragua with Compassion International in 2014. Then in 2015, I was blessed to be able to visit my children in Guatemala as well. I fully expected those visits to be life-changing for me, and they were. But what I didn’t expect was the incredible and deep connections with my sponsor children and their family members that were created in those visits. I knew we had all been deeply impacted based on the smiles and emotions in those first hugs, and the full hearts and tears in our goodbyes. Once I was home again and processing all that I had done and seen, I looked forward to my children’s next letters, to learn their thoughts on our days together. Their letters confirmed to me the value of my visits. Jose, 11, of Nicaragua, wrote: “I will never forget the meeting we had when you came to Nicaragua. It was an unforgettable day.” That letter was written shortly after our visit. I’m still receiving letters from my children in Guatemala about that visit. My son Logan, who traveled with me to Guatemala, met his own sponsor child there. Logan and Osmar say goodbye to each other. Unforgettable, happy, special, nervous, fun, beautiful, thankful – their words match my own in describing our meetings. If you can make it happen, visit your child! The experience will be priceless. 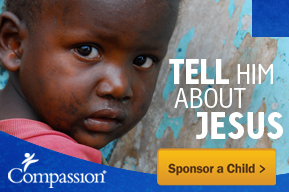 And if you don’t sponsor a child, yet, you can do so by clicking here. Winston shows off a bracelet my daughter made for him. Logan brought Osmar his own Dodgers jersey and hat. It’s International Day of the Girl Child today! Please spend some time praying for the girls in your life, including your sponsor children. They face so many challenges and difficulties in this world, but with Jesus in their lives, we know they are well-loved. Gladys and Logan in Guatemala.